Collecting and promoting customers reviews are two separate but related activities. Below we show you how to collect and manage reviews, then you can add Customer Reviews to your website. To begin collecting reviews, the fastest option is to click Collect Customer Reviews in the Content Bar. You can also reach this page by click the Collect More option on the dashboard or by visiting individual contacts in your database (click Local Connections then People in the main menu and find the contact) then click Request Review. And, choose if you'd like to associate that contact and the review with a business. 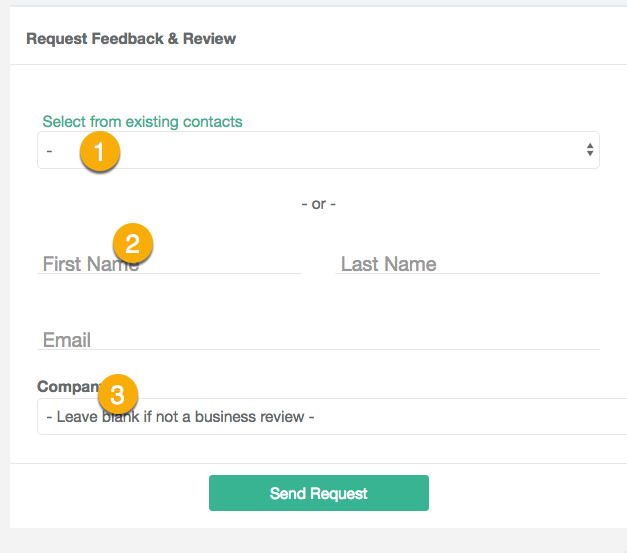 Locable will then send an email to the contact requesting feedback on a scale of 1-10, if they select a high number we prompt them to leave a review - no registration or sign in is required so they can quickly provide a review. Upon submission, we thank them and prompt them to also review you on any social media profiles added to your account enabling you to grow your reputation there as well. Note: we send a request email when you request and again at 3 and 7 days if they have not left a review or opted out. Published reviews will appear in one your website wherever you've placed Reviews Embed Widgets (or the Reviews Feed if using Locable's Web Builder). Collecting new reviews and publishing them will, thus, update your website anywhere reviews appear. You can choose to auto-publish reviews to your website when they're above a certain rating or you can moderate all reviews... you can unpublish any review at any time as well. Clicking on the Manage Customer Reviews button from the homepage or the Reviews & Forms > Manage Reviews link from the main navigation shows all of your reviews and gives you access to settings such as the publish status. You can choose to auto publish reviews above a certain level, we recommend auto publishing 4 star reviews and above - you can always manually hide or show any review. A published review will appear on the /reviews page of your website if your site is powered by Locable, be eligible to appear in a reviews widget ( see the article about adding reviews to pages), and will be indexable by search engines or sharable on social media. You can also determine which account administrators will be notified of new customer reviews by click Set Notifications.